First settled by Spanish ranchers in the late 1770s, the land was granted in 1789 to Juan Jos� Ynojosa de Ball�. 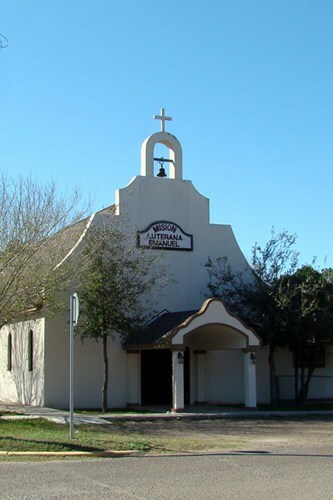 It was later acquired by Ram�n and Manuel Cavazos, who founded the Anacuitas ranch in 1850. 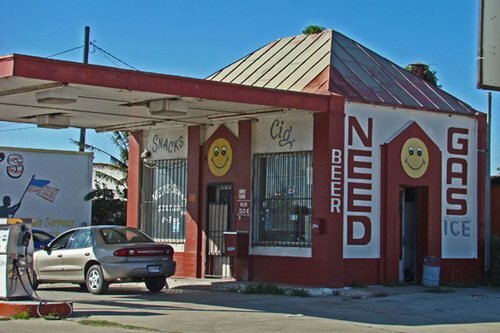 The land continued to be owned by the Cavazos family until developer Lon C. Hill, Jr. appeared around 1900. 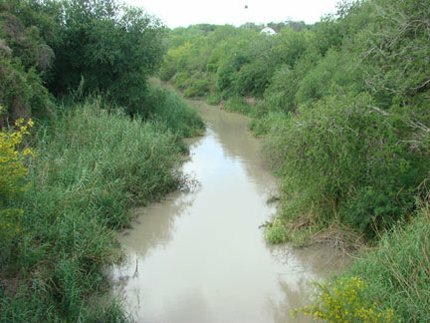 Hill bought 45,000 acres that extended sixteen miles from the Rio Grande, including property that would become Mercedes. 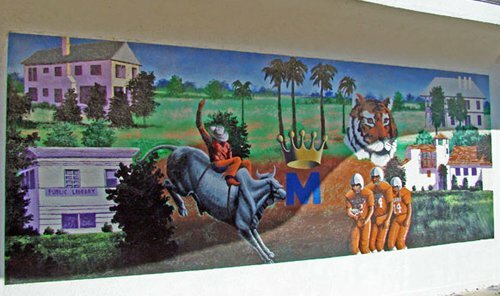 Hill constructed the Estarito Canal and in 1904 he developed a town (one mile east of present-day Mercedes). 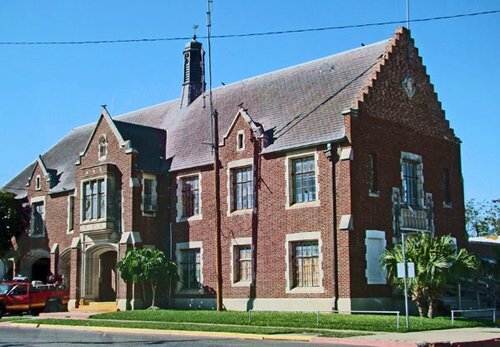 Hill modestly renamed the town Lonsboro and after developing it, sold it to new owners who renamed it Diaz (perhaps after the Mexican head of state Porfirio Diaz). 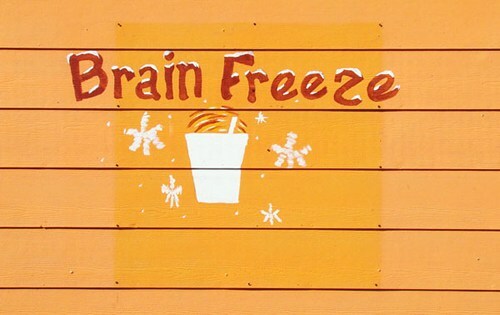 The community underwent several more changes of name until Mercedes was (mercifully) agreed upon. Some sources say that Mercedes was the wife of Porfirio D�az, but no documentation backs up the claim. 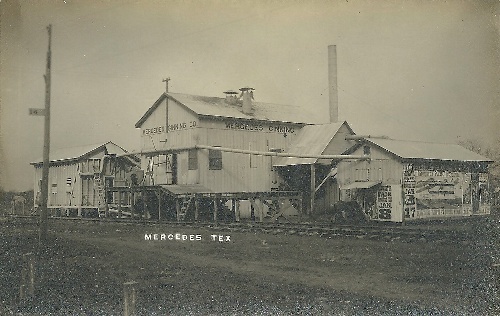 In July of 1904, Mercedes became a stop on the Sam Fordyce spur of the St. Louis, Brownsville and Mexico Railroad. Northern settlers were brought down by an aggressive promotional campaign. After 1907 large-scale citrus fruits and vegetable crops were introduced. Around that time the town had a enviable population of 1,000 residents. 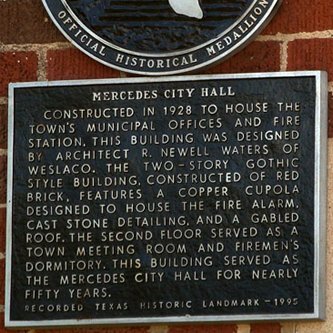 The Rio Grande flooded in 1908 and Mercedes was one of the towns hardest hit. The population reached 2,000 by 1915. 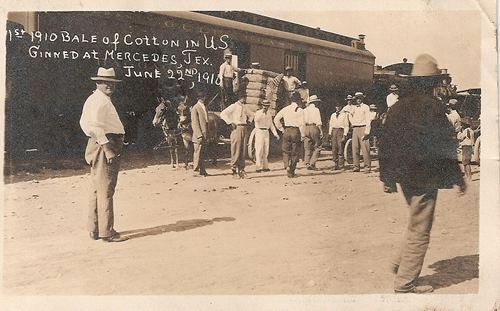 Border incursions and unrest caused by the Mexican Revolution required a military presence on the border and Camp Mercedes and Camp Llano Grande were laid out � just outside the Mercedes city limits. The two camps had a combined population of 15,000 soldiers, dwarfing the town. By 1925 the population had increased to 3,414 in 1925. 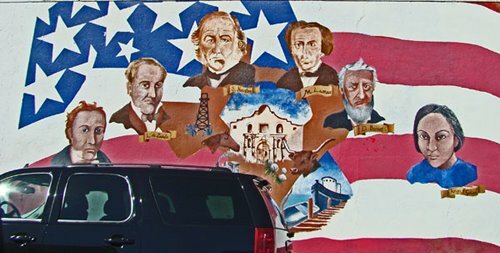 The 1940 population grew to 7,600, bolstered by an oil discovery in 1935. In 1952 the B&P Bridge Company was formed by local businessmen and a contract was signed for a new international bridge. Construction was begun in the fall of 1952 and the bridge was completed in one year. Mercedes� population reached 10,065 in 1952, increasing to 10,943 by the early 1960s. The 1980 census reported 10,354 residents, growing to 12,694 for 1990. 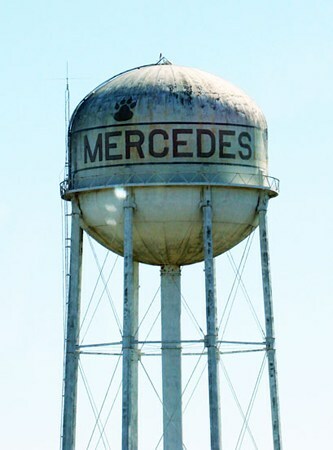 S of Mercedes city limits sign.